Nida Art Colony (NAC), a subdivision of the Vilnius Academy of Arts, is an interdisciplinary art and education centre located on the Curonian Spit dividing the Curonian Lagoon and the Baltic Sea. Their residency programme is open to professional and emerging artists, designers, architects, art critics and curators. Participants have access to professional workshop spaces as well as photo, video and sound equipment and will live and work in the Colony’s living and socialising facilities, surrounded by forest, sand dunes and sea. 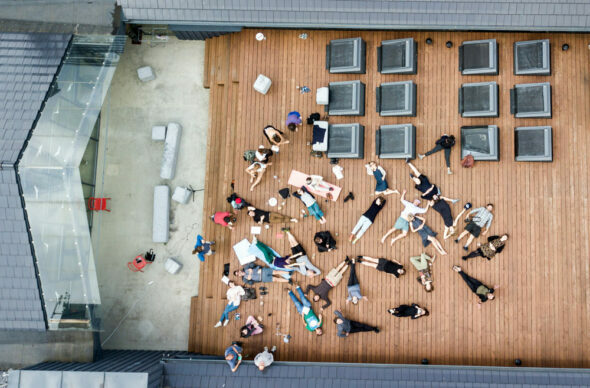 Programmes now open for application are the Individual Residence Programme (July 2019–May 2020), the Nida Doctoral School Residency Programme (July-August, 2019) for practice- and theory-based doctoral students and the Symposium ‘On the Fluidity of Humour and Absurdity’ (June 28–30, 2019), calling for contributions on the role of humour and absurdity within contemporary art and theory. Both residencies cost 400 EUR per month for accommodation, equipment, Wi-Fi, communal spaces and bicycles. The symposium is curated by Lívia Páldi (Hungary/Ireland) & Vytautas Michelkevičius (Lithuania) and hosts its participants at Nida beach resort town. There is a limited travel support (up to 200 EUR) available.